Veronica officinalis a herbaceous perennial with green, hairy stems, up to 20 inches (50 cm) long, often prostrate, and rooting at joints. The leaves are simple, opposite, obtuse, oblong, narrowed at the base and spiral shaped. 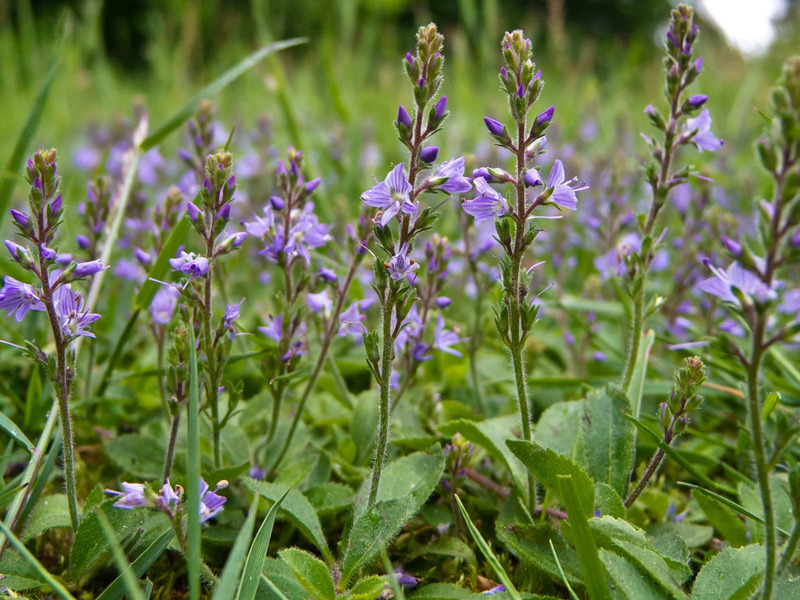 Flowers are small and irregular, whitish blue with blue streaks to violet. They crowded on spike-like racemes from axils of leaves. It is in flower from May to August. 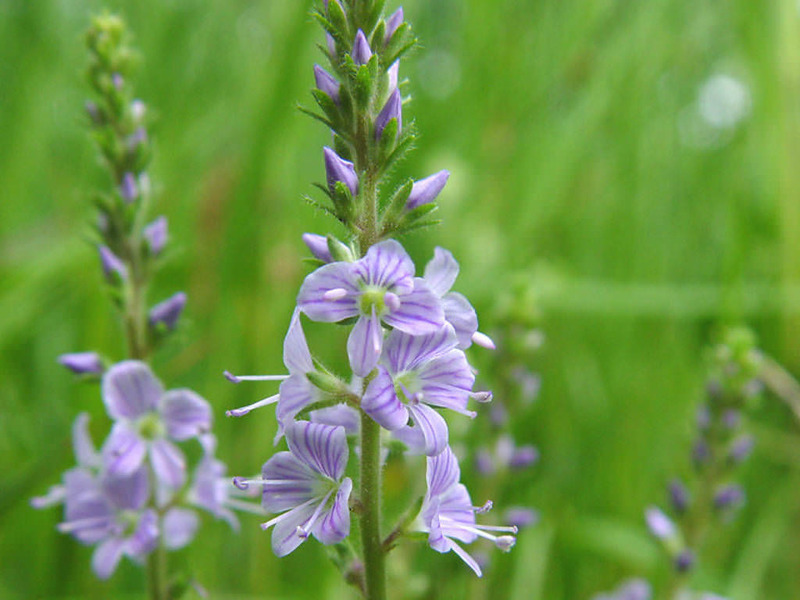 Speedwell thrives in conditions as wide ranging as full sun to partial shade and in loamy, sandy or clay dense soils. However, it does prefer a sunny location with well draining soil. The soil pH can be as liberal as neutral, alkaline or acidic, with moisture content from average to quite moist. 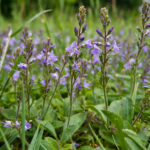 The hardy medium sized plant, with striking 1 to 3 foot (30 to 90 cm) flower spikes, flourishes in USDA hardiness zones 3-8. 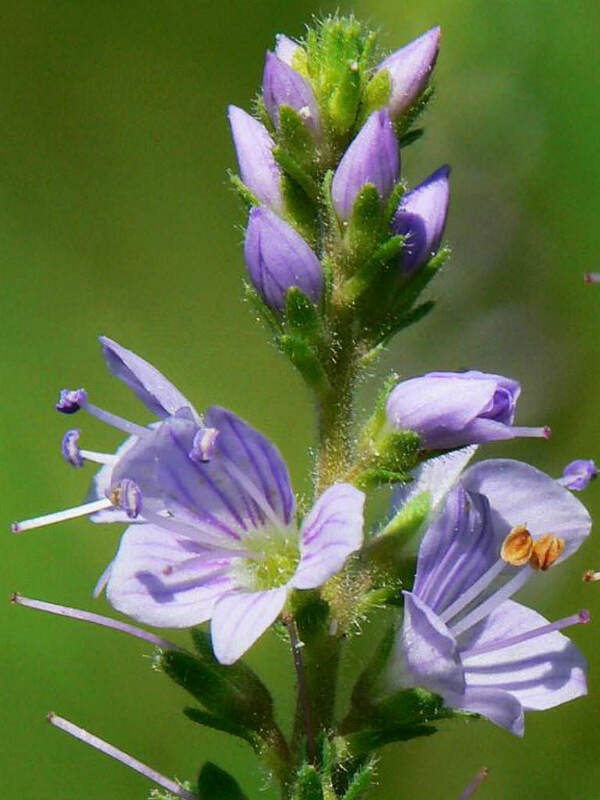 The Speedwell is tolerant of a variety of conditions but prefers full sun and well drained soil. 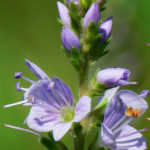 Speedwell can be sown from seed; however, it is more commonly purchased from a nursery so planting it in the garden can take place right away in spring. 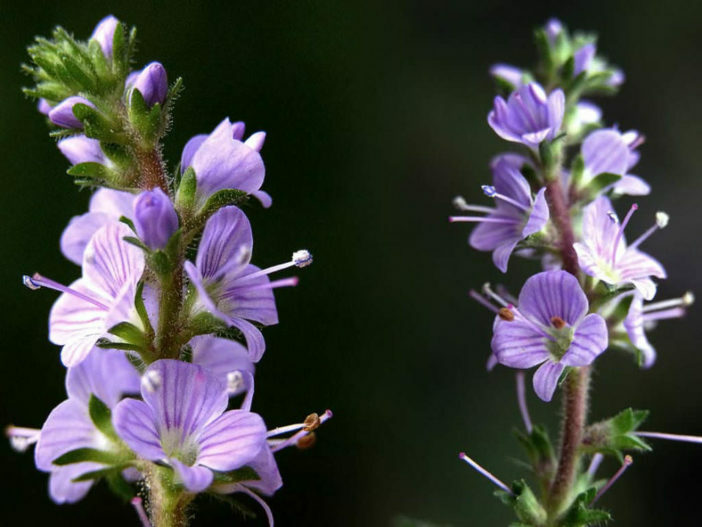 Speedwell plant care is relatively low maintenance. 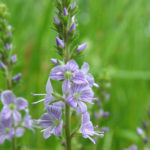 In order to facilitate maximum blooming, it is advisable to remove the faded spikes from Speedwell and periodically divide the plant every few years in the early spring or fall... – See more at: How to Grow and Care for Speedwell.